An independent publisher is launching two free monthly newspapers in the North West – claiming existing titles “are not their idea of local papers”. Big Spark, based in Horwich, near Bolton, runs magazines and newspapers including the Somerset County News, a paid-for monthly. This year, the company launched the Cheshire Independent – a free monthly available at 110 pick-up points in and around Macclesfield, including supermarkets, offices, and libraries. The paper – which has no editorial staff, but uses local freelances – proved such a success that a Bolton Independent and Bury Independent will be launched soon. Like in Cheshire, they will be 32 pages with a 10,000 circulation. Big Spark managing director Stuart Parker said he launched the titles because too many local papers seemed too national. 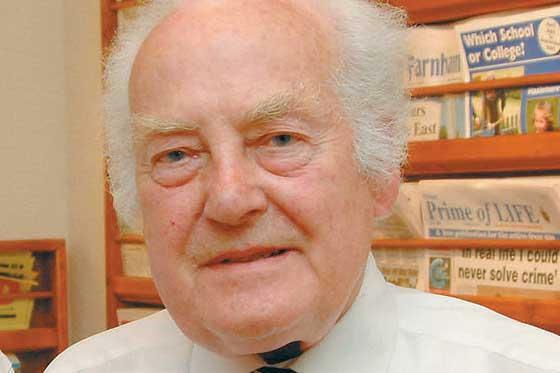 “I had a bee in my bonnet about local publishing – picking up papers pretending to be national, when they’re local rags,” he told Press Gazette. “They’re not like the Eccles and Patricroft Journal, which my mother used to send me to get. That was a beautiful local paper, but it’s long gone. “I heard the Macclesfield Community News [a Newsquest title] was closing [in December last year] I got a copy, and didn’t rate it at all. I thought ‘Let’s have a go in there’. He was then approached to extend the Independent series to nearby Bolton and Bury. The papers, he admitted, “will not win any awards”. But, Parker said there was a place for upbeat, “soft” local news. “It’ll be what’s happening in the local schools, local councils, who’s raising money for charity, local football teams,” he said. “There’ll be no credit crunch, no stabbings, not like your – in inverted commas – local monopoly-driven newspapers. So do local papers fail readers? “I have got to be careful,” he said. “But let’s put it this way: personally, they’re not my idea of what a local paper should be. Big Spark also produces magazines for a number of UK airports, including London Stansted, Glasgow, and Belfast.